It’s a 10-degree evening in a snow-blanketed Rexburg. 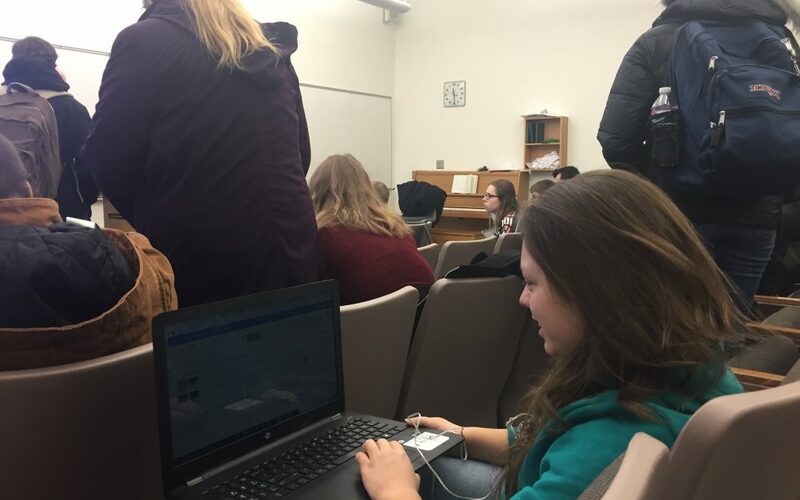 Despite the cold, a large group of BYU-Idaho students have left the comfort of their apartments to gather in room 270 in the Ezra Taft Benson Building. The pre-med students jot down notes and ask questions as this week’s guests address the daunting feat of medical school. Pre-Medical Society is just one of many academic societies that meet on campus every week. The question of what to be when you grow up is one that plagues students nationwide. According to CentralCollege, 75 percent of students overall will begin college undecided about their major or will change their major before they graduate. 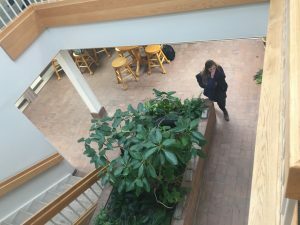 Even after the task of deciding a major, there is the lingering question of what career path is best and how to get there. Academic Societies can help. With 96 academic societies to choose from, BYU-I students are sure to find a society that can help them better recognize and work toward a career path, while being surrounded by students with similar passions and ambitions. Pursuing careers in fields such as law and medicine can seem daunting. Whether it be conducting LSAT practice tests for law school hopefuls or working on impressions with aspiring dentists, academic societies work to help students manage the pressure of developing a college career worthy of acceptance into a graduate program. In the Pre-Med Society for example, student are given the chance to have hands-on work experience. The Benson building is home to several society meetings such as the Pre-Med, Pre-Dental, and Pre-Pharmacy societies. Although many students attend such societies directly related to their majors, academic societies are available to students from any field of study. Attending can give students a unique opportunity to learn about new careers paths and explore new options. For Max Erickson, a sophomore studying economics, attending the Pre-Law Society helps him learn about career options outside of his major. Students who are interested in joining an academic society can find times and contact information here.